This marks the second investment round for Vaadin this year. The capital will be used to further boost its investments into product development and marketing. Verdane Capital IX invests over 5M€ in Vaadin, the company behind the popular open source web application development tools. The investment is made partly by buying secondary shares from another shareholder and party as a directed new issue. "We are very pleased to team up with Verdane and further strengthen our position in the growing US and European markets," says CEO Joonas Lehtinen. He adds, "Vaadin is known for its tools that simplify the development of business grade web apps and with the new investment we are able to expand the tools to new and even larger markets". "We consider Vaadin to represent some of the strongest software expertise in the world. We think we can help this outstanding team in their ambitious growth plans, by building on Verdane's software knowledge," says Janne Holmia from Verdane Capital Advisors, adding, "The importance of software and user experience continue to grow and we believe Vaadin can help businesses advance in these areas". Vaadin's business is building components and tools for dynamic and information rich web applications. Its product suite enables businesses to replace desktop applications with standard based web applications that run on all major mobile and desktop browsers. By embracing simplicity Vaadin's technology speeds up the development process, increases security and allows developers to focus on building business value. Verdane is a Nordic private equity manager focusing on investments in technology enabled growth companies. Verdane raised its latest fund, Verdane Capital IX, this summer with an investment of SEK 3 billion. Prior to its investment in Vaadin, Verdane private equity funds have invested in other prominent Finnish companies such as Codenomicon, CRF Health and Eniram. Earlier investors in Vaadin include Aboa Venture Management, the Nordic private equity company eEquity, and Finnish Industry Investment Ltd (Suomen Teollisuussijoitus). The company intends to continue growing at a rapid pace and adding to its one hundred and thirty person strong team based in Finland, Germany, and Silicon Valley. Vaadin is the company behind the open source Vaadin framework, which is used by 40% of Fortune 100 companies and by more than 150,000 developers worldwide. The company's head count is 130 staff personnel located between Finland, Northern California, and Berlin. 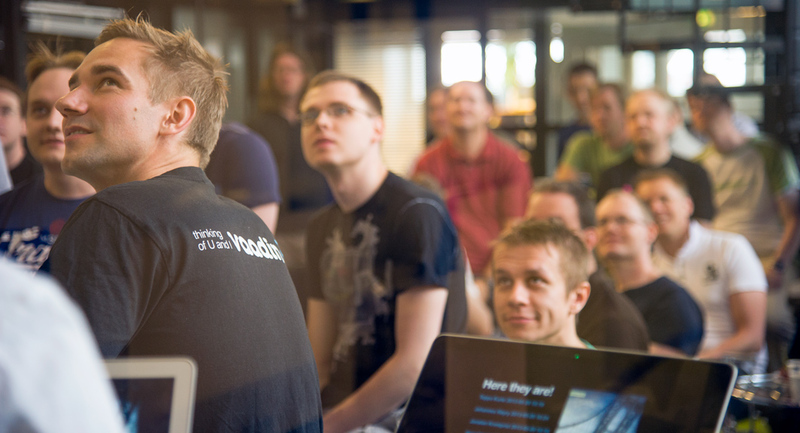 For further information on Vaadin tools, services, and career opportunities, please visit vaadin.com. Finnish Industry Investment Ltd (FII) is a venture capital and private equity company that accelerates companies’ success stories by investing in them directly and via funds. FII always invests together with other investors, providing them with access to high quality deal flow in Finland. We have 1 billion euros in assets under management and altogether 660 companies in portfolio.